The Remedy described by me in this post is yet another one of those specific Traditional Indian Healing Remedies, which are practiced for curing and getting relief from all kinds of Menstrual Problems. This Indian home remedy or Totka is said to regularize Menstruation and ensure the full discharge and flow of Menstrual Blood. Like some of the other Indian health remedies published on this site for the same problem, this remedy does possess a certain paranormal quality attached to it even though it appears to be just a simple Herbal Remedy. This is a Vashikaran Spell, which, I discovered in an old Indian Tantric Text, which was written in the Sanskrit language. The Voodoo Vashikaran Spell is cast to enchant and captivate any woman, including a Kamini, meaning a beautiful and comely girl possessing great beauty. I have described the Vashikaran Vidhi below in this post. In this post, I have described a simple and easy to practise Indian Herbal Home Remedy for removing impotence or erectile dysfunction in men. This particular herbal remedy to get relief from impotency and have normal sexual relations with women is practiced using the seeds of the Gunja or Rosary Pea Plant, the magical healing plant about, which I have given detailed information, in some of the recent posts. The Sloka described by me in this post is a most powerful devotional invocation to increase the life span, good health and freedom from diseases and good fortune and prosperity of a husband. This Sloka-Mantra, which has to be chanted by a wife for the happiness of her husband, is dedicated to Guru Dattatreya. In the Hindi language, this Mantra Prayoga is known as Pati Ko Acchi Tabiyat, Lambi Ayu Aur Soubhagya Me Vriddhi Hetu Mantra. This is a Kaal Bhairava Mantra Remedy, which was described to me by a Mantra Upasak, which is said to invoke Kaal Bhairava, if a child is not responding to medicines. The Tantra, which is described here is for the devoted followers of Bhairava to help them find a way out from their troubles and is to be practiced by the mother of the sick child who is unresponsive to medical treatment. In earlier articles, I had described the paranormal uses of the Black Turmeric or Kali Hadli as this herb is commonly referred to in the Hindi language. The Kali Haldi as mentioned is these earlier posts is a rare and coveted Tantric item, which is used in many diverse Indian paranormal experiments. The Kali Haldi is also a medicinal plant possessing healing properties and has always been used in Ayurveda and traditional Indian Medicine. In this post, I have described a couple of home remedies or Gharelu Upay for increasing beauty and to appear attractive to others, which are practiced using the Kali Haldi. This is post, which describes a simple and easy method of removing enmity between two planets in a Horoscope. This astrological remedy can be practiced if a learned astrologer has informed the practitioner that his Horoscope contains two or more planets in the same House, who are enemies of each other [Kundli Ke Ek Ghar Me Shatru-Dushman Grah Hai]. Such an astrological condition destroys, minimizes or restricts the positive benefits of that particular House in the Horoscope. In the past, I had described a specific Indian home remedy to cure stammering and Lisping, the Indian Herbal Remedy described in this post is also believed effective in treating stammering or stuttering. This home remedy uses a combination spices and dry fruits to prepare a mixture, which is given as a home medication to people suffering from this condition, which makes it a struggle for them to speak clearly. The Adsula Plant, known in the English language as Adhatoda vasica or the Malabar Nut possess strong medicinal and healing properties, hence it has always been used in Ayurveda and traditional Indian medicine to treat a wide and diverse range of diseases and ailments. In this post, I have described some of the healing remedies, which can be tried at home using the leaves of the Adsula Plant to treat cough and cold. The Hatha Jodi as mentioned in earlier posts is a most sought after and much in demand Tantric item, which is used in many paranormal remedies of all kinds, including Mantra and Yantra remedies. The Hatha Jodi is also a Vanaspati, which is said to possess strong medicinal properties. In this post, I have described some health home remedies, which are practiced using the Hatha Jodi. These are traditional Indian herbal home remedies and there is no paranormal element involved in these remedies. Bhang, a preparation of the leaves and buds of the Cannabis Plant is a highly dangerous drug, which affects the brain and the physical body, if one becomes an addict. In India, many people consume Bhang once a year on the day of Holi, which is the Hindu festival of colors. The Muslim Vashikaran Mantra Remedy described by me in this post uses the seeds of the Cannabis Plant to conduct the Vashikaran Experiment. The probable chances of a civil war in India have surfaced from time to time ever since Indian gained independence in 1947. Today there is a heated debate on the religious intolerance issue between the supporters of Hinduism and those opposed to it, led by the leftist oriented Indians of Hindu origin. Over the past decade or so India has witnessed a widespread mushrooming of leftist oriented NGO’s who appear to have surfaced out of nowhere. This has led to strife and friction between the leftists or secularists and supporters of Hinduism. Do the Stars foretell that this no-stop strife will lead to a civil War in India in the coming days? This is an Islamic Peacock Feather Exorcism Mantra, which is known as the Musalmani Mor Pankh Se Abhichar – Bhoot Pret –Buri Bala-Nazar Door Karne Ka Mantra. Students of Indian Black magic and Exorcism Tantra Vidya will be interested to know that this Mantra originates or invoke the well-known Sorceress or Lady Tantric of the Middle or Early Middle Ages Lona Chamarin who is also referred to as Luna or Nona Chamarin as is evident from this Muslim Exorcism Mantra. The Uchchatan Mantra to Remove the Husbands Lover described by me in this post invokes the most powerful Hindu God of Strength Hanuman. Uchchatan, as repeatedly explained in many earlier posts means to remove and drive someone away permanently from your life. This Shabar Hanuman Uchchatan Mantra is known in the Hindi language as the Sautan Se Chutkara Pane Ka Mantra. Sautan means the Second Illegal Wife or Lover of the Husband, Soutan or the Other Woman related problems are very common in India. Manny harassed wives frequently write to me asking for some Mantra, Yantra or Gharelu Totka and Upay to permanently resolve this problem. An Islamic Naqsh, which acts as a Magical Occult Voodoo Love Spell to captivate the attention of any pined for man or woman for love and marriage is described by me in this post. The Naqsh, the Muslim counterpart of the Hindu Yantra is also effective in bringing back an ex-lover or a desired lover who is not responsive to the overtures of the practitioner. 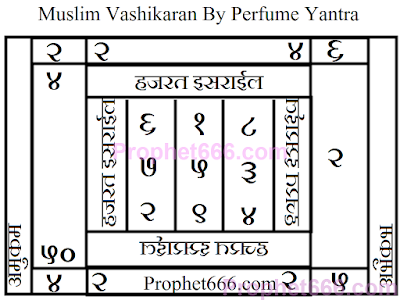 This Muslim Yantra Experiment uses Perfume to Cast and put the Vashikaran Spell into actual practice. The Yantra described in this post is one of the most popular and famous of the Hindu Shabar Yantras available in the market. This Yantra, which is also known as the Shabri Yantra is considered to be a most powerful Vipatti , Upadravi, Abhichara Badha Nashak Yantra for a house or a commercial place like a office or shop. This means a most powerful Protective Talisman to prevent and destroy all kinds of Misfortunes, Calamities, Accidents, Black magic Voodoo Spells and Dangerous Ghostly Entities from the Spirit World from entering the house or premises. This very interesting Shabar Stambhan Mantra described by me in this post is to immobilize a Gun and prevent it from firing at you or any other person. This Hindu Shabar Mantra, which seeks the blessings of the Mighty Hanuman, is probably from the late Middle Ages when the European Merchants introduced Guns into the Indian Sub-Continent. These Guns later on proved to be a decisive factor in establishing British Rule in India. The making of a most powerful magical Vashikaran Powder or Vashikaran Churna as it is called in most Indian languages is described by me in this post. The Vashikaran Churna, prepared from bird feathers is used in a Tamsik [unholy and dangerous] Vashikaran Totka to put an Occult Voodoo Love Spell on any man or woman. This Vashikaran Totka is free from any kind of Vashikaran, Mohini or Akarshan Mantra or Yantra and can be prepared and put into practice on any day. In this post, I have described a simple, easy to practice yet most effective paranormal experiment from the Baaz Tantra to prepare a Kali Mata Mantra infused Protective Talisman of the feathers of the Hawk. This Hawk feathers talisman is effective in removing; reverting and reversing Dark and Evil Energy fear at night of Dark Forces, dangerous Black magic Voodoo Spells, Evil Eye or Pret Badha, Buri Nazar and protection from harmful and bad unseen and mystical ghostly and paranormal entities. The Mantra Ritual described by me in this post is an Exorcism by Oil Shabar Mantra Experiment. This Indian Voodoo Spell is said to remove all kinds of Black Magic and Evil-Eye Spells cast by any malefic and dangerous Occult Spell Caster or Evil Tantric. In the Hindi language, this Spell is known as Tel Se Kala Jadu Tona Aur Buri Atma Dur Karne Ka Mantra. The method of putting this Exorcism Mantra into action is mentioned below. This Vashikaran Goli or Tablet Tantra is from the Kaak Tantra, which is a mystical Indian Paranormal Tantra, which uses the body parts of the Kaak or the Crow to cast fearsome Voodoo Spells of all kinds. The Vashikaran Spell described in this post is practiced cast a Spell on a desired person, which is said to make that person as obedient, loving and submissive as a pet dog and make the person blindly follow any order or command of the practitioner. This Akarshan Yantra described by me in this post is specially made for getting the love and affection of a pined for man or woman. There are two special procedures in which this Akarshan Yantra can be prepared and invoked for getting the love of any girl, boy or even bring back an ex-lover into your life. The Yantra Prayoga Kriya is given below. Kumbhakarna needs no introduction to any Indian or for that matter any person who follows Hinduism and its glorious heritage. The Shabar Mantra, which, I have described in this post is said to make it possible for the practitioner to possess great and immense strength and become strong and powerful like Kumbhakarna. This Akarshan Yantra, which has been posted here, is a kind of Good Luck Charm for making friends with any person. Unlike most of the other Attraction Charms and Vashikaran Voodoo Spells, this Yantra is used to make true, close and strong friendships and keep them. Many times, you come across a man or a woman with whom you feel you have some sort of deeper connection and wish to be friends with that person. This Friendship Making Yantra is suitable for introverts hoping to make new friends but are unable to open up and voice their thoughts and feelings clearly. 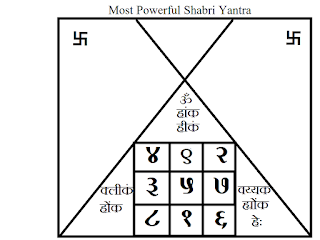 In this post, I have described a Yantra, which acts as a protection talisman for protecting and safeguarding a house against danger from snakes. 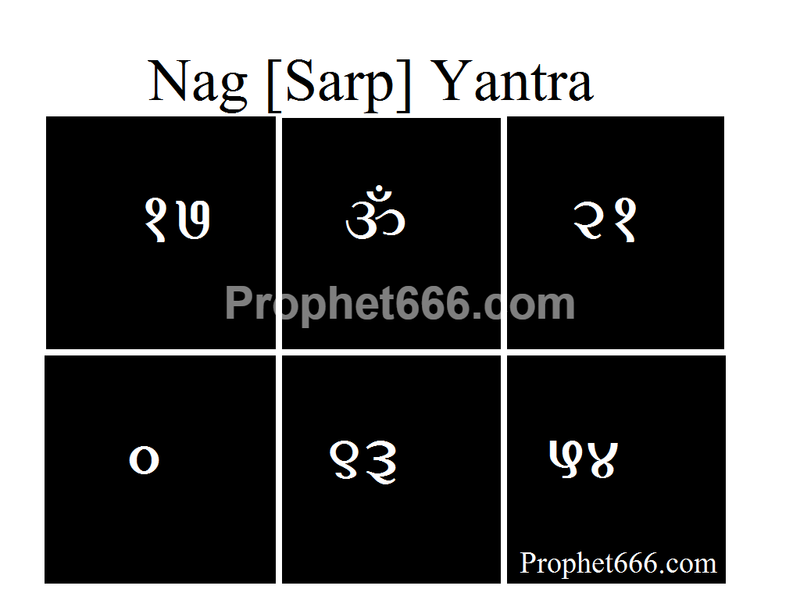 This talisman is known in the Hindi language as the Nag or Sarp Yantra. This Yantra should not be confused with the Astrological Kaal Sarpa Yoga, as its purpose as explained above is very different. 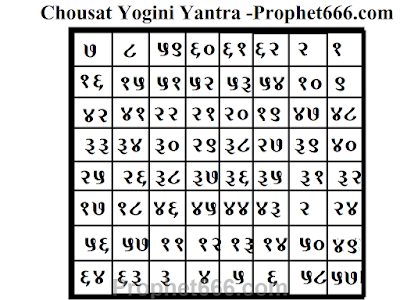 Chausat Yogini Yantra is a most powerful Indian Yantra having Chausat or 64 squares, which represent the 64 Yogini. These 64 Yogini are feminine mystic entities who according to the Hindu religious scriptures are said to represent 64 physical, mental, material and paranormal virtues, abilities and qualities. The worship and Tantric rituals related to the 64 Yogini were widely prevalent in the early and late middle ages in most parts of India. Many people write to me asking for simple and easy to follow Rahu and Ketu Mantra Remedies to resolve and negate the ill effects of the astrological problem of Kaal Sarp Yoga. 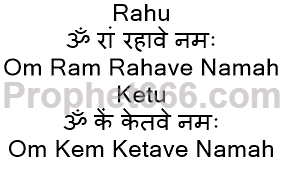 Even though I have in the past written about many Mantra Remedies, including astrological remedies, in this post, I have written about the Rahu and Ketu Mantras, which could prove to be helpful for resolving Kaal Sarp Dosha. This is a special Shabar Mantra for Farmers, Plantation Owners and other land cultivators or tillers who are in the profession of growing food grains, fruits, flowers and vegetables and any other products, which are cultivated on land. This Shabar Mantra is said to enhance and increase the quality and quantity of the food grains and the other farm products mentioned above. In the post below is described the method of performing this Mantra Experiment. 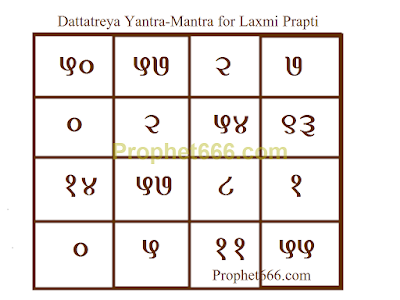 A most powerful and potent Shri Guru Dattatreya Mantra, which infuses a Laxmi Prapti Hetu Yantra in order to get money, wealth, prosperity and abundance, is described by me in this post. This is a special money generation Yantra-Mantra Experiment, which is Pure is and most suitable for the Satvik Guni people who wish to become rich and prosperous in an honest and upright manner.